How much is Johanna Konta Worth? Johanna Konta net worth: Johanna Konta is a British professional tennis player who has a net worth of $4 million. 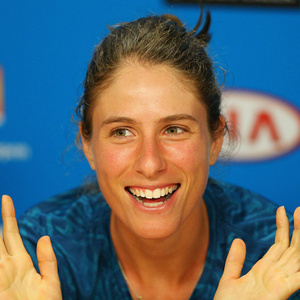 Johanna Konta was born in Sydney, New South Wales, Australia in May 1991. She turned professional in 2008 and has won more than $5 million in prize money during her career. Konta has won three WTA and 11 ITF championships. She achieved her highest career ranking of #4 in July 2017. Konta reached the semifinals of the Australian Open in 2016 and Wimbledon in 2017. She has also won four ITF championships for doubles. Konta's career spiked between 2015 and 2016 when she achieved a top ten ranking after being ranked around 150. She was born to Hungarian parents and represented Australia until she became a British citizen in 2012. Konta also reached the quarterfinals of the Rio 2016 Olympic Games. Her three WTA titles came at the Stanford Classic in 2016, the Sydney International in 2017, and the Miami Open in 2017.